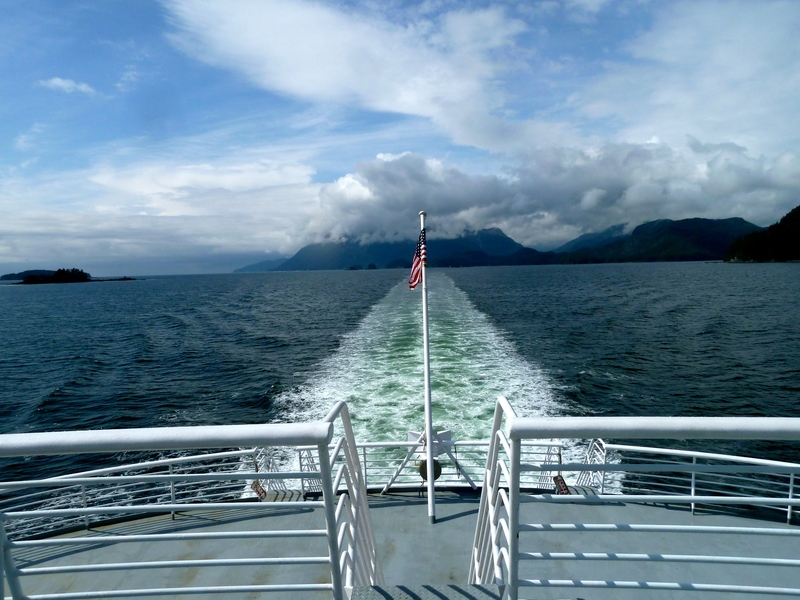 The Alaska Marine Highway System is a 3,500-mile route along some of the state’s most scenic coastline, and provides visitors an in-depth approach to adventures in the 49th state. Moreover, it’s a vital link for the rural residents living and working in roadless areas of Alaska, where rocky cliffs or distant shores prohibit passage by car. 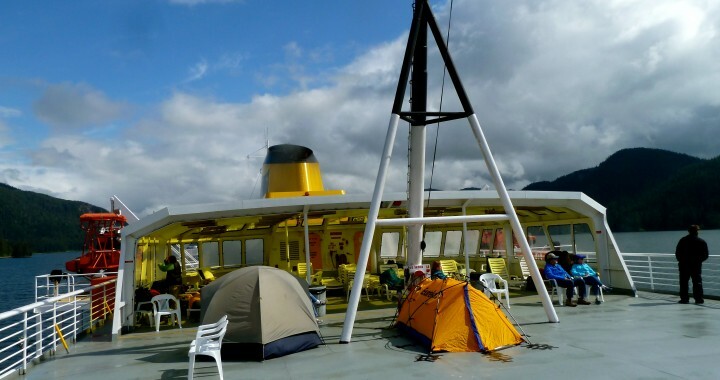 The ferry system’s “Blue Canoes” have been a floating lifeline, then, a way to visit family and friends, see Alaska, and connect to larger cities that for years were unreachable by those living a truly rugged Bush lifestyle. AMHS is as much a part of Alaska history as the capitol building, a unique tribute to the tenacity and sense of adventure those who live here seem to possess. It’s no wonder this state-run agency sees somewhere around 400,000 riders per year, many of them visitors to the Great Land, and all expecting something special. 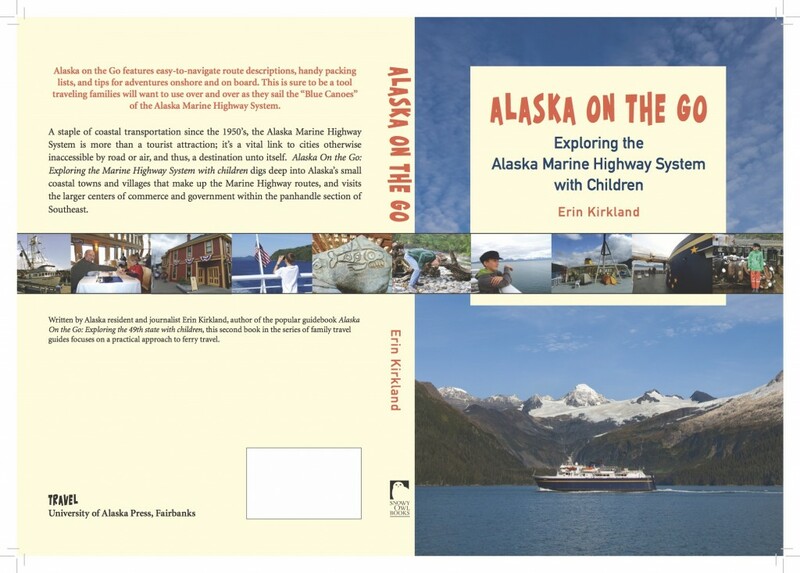 With the release date of Alaska On the Go: Exploring the Alaska Marine Highway System with children now in the final phase of publication, and a draft cover in my hands, it’s time to take a closer look at 2017 travel plans for those considering a floating holiday on the Blue Canoes. 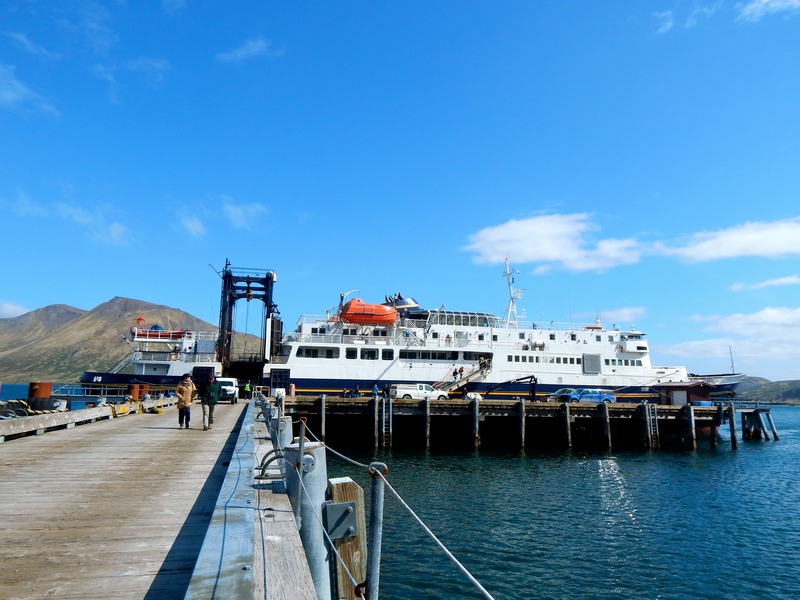 There’s changing seas ahead, for sure, and anyone considering a trip aboard the Alaska ferry system’s vessels should be prepared for changes in both timing, cost, and vessel availability. The state is, for lack of a better term, broke, and AMHS, like many others, is feeling the pinch of budget cuts. This means shuffling around vessels, cutting service, putting it back again, and trying to figure out on our end who can get where, when, and how. I don’t have all the answers<— understatement of the century– but here are a few notable items to help you plan an enjoyable trip, whether you sail the every route, or just hop aboard for the day. What does this mean? Today was the teleconference to talk about summer scheduling, and things got a little tense, but overall everyone on the call recognized the importance of an equitable schedule that balances residents’ needs with the tourism industry. I’ll keep you updated as the schedule is formed, but in the meantime, here is what you CAN do; search a sailing. Find the destination, dates, and vessel matches HERE. Fares: There are no searches for 2017 that will pull up a verified fare cost, but plan on a few hundred dollars to sail between most ports as walk-on passengers. If you add a vehicle, add another $100 or so. Bikes, kayaks, trailers, and pets are additional. The good news? If you travel between now and April 30, 2017, the driver of a vehicle will receive a 50% discount, a significant savings. Find the details HERE. Timing: Not sure when to sail? It’s always cheaper to go during the non-summer months. Quieter, too, and sometimes stormy, so take your own ability to stomach rough weather. If you choose premium season ferry travel, you’ll see all the good stuff you’d expect; glaciers, wildlife, cruise ships, and crowds, the latter being a positive or negative, depending upon your perspective. I personally enjoy the chance to talk up visitors and locals; it’s half the fun. Do keep in mind that finding stateroom space can be tricky if you wait too long. My recommendation? Get on the AMHS website January 1 and book your passage and stateroom. It’s absolutely worth it. Hot destinations/ports include Bellingham, Ketchikan, Juneau, Sitka, Haines, Skagway, and Whittier. The Aleutian Chain/Alaska Peninsula route is popular, and on a smaller vessel, so planning is a must. What style of travel is your family accustomed? Staterooms or camping out in common areas? Are you prepared to drive your own vehicle, or are you strictly walk-on passengers? Will you stay overnight at some communities, or use the ferry as a cruise, engaging in activities after you arrive at your final destination? Are your kids travelers who enjoy games, books, crafts, and meeting other kids? Are you ready for some quality family time in close quarters? Is weather not a factor in your travel decisions? Think rain, wind, and sunshine, sometimes all at once? Do you enjoy smaller communities where interacting with residents is a prime reason for visiting? Once you answer these, take a look at the AMHS section titled “Where We Go” and start planning! 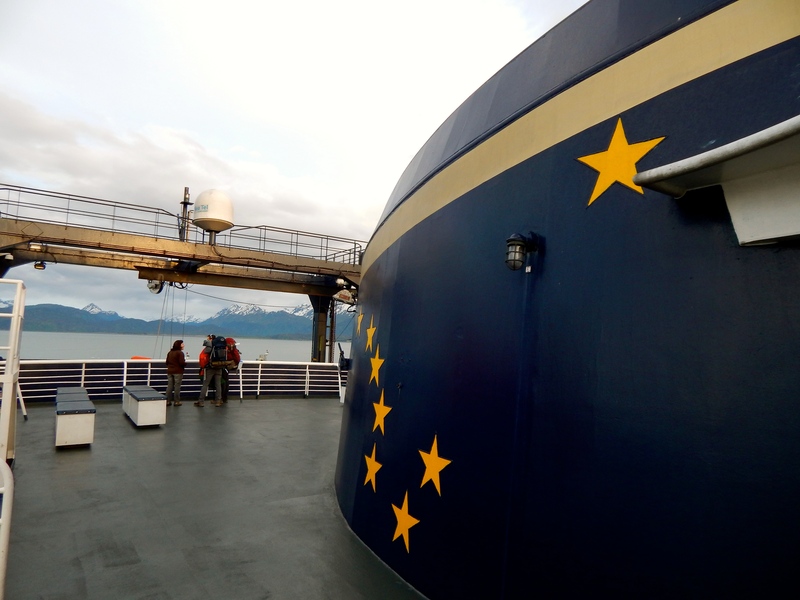 AKontheGO has, of course, sailed every route of the Alaska Marine Highway, and below are posts related to our experiences. Good luck, and I can’t wait to share my newest book with you, available for pre-order in February, 2017! Posted in Alaska Marine Highway, General Travel Info and tagged adventure travel, AKontheGO, Alaska, Alaska ferry, Alaska Marine Highway System, Alaska with Kids, coastal Alaska, Family Travel, family travel with kids, ferry routes, indie travel.